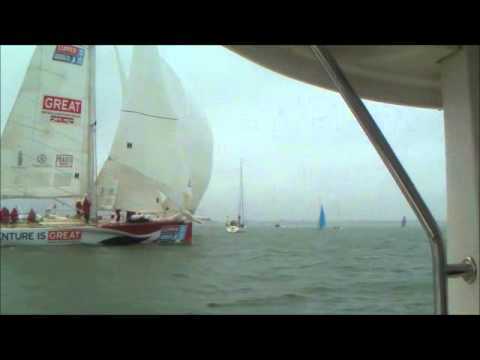 Clipper round the world race start, sandhoppers join in. I am glad to say that the Picos have had a good 2 days of sailing, completing 4 races. Unfortunately I have had nobody come forward as race officer for Monday and therefore it has been abandoned. Today saw the start of a weekends Pico sailing (20 minutes after main sailing). Scott Weller and helpers did RO duty today and Paul Chapman and Sam Petty-Mayor will do tomorrow. If anybody can offer there services to complete it Monday then it will enable a whole Bank Holiday Weekend of Pico sailing. Please let me know if you can on 07741 201052, otherwise I will let everybody know if Monday is abandoned. Thanks. Due to things out of our control we need volunteers for the following roles during tomorrows Benfleet Shield Race. This race will not take place without at least two of these position being filled as I am sure you would understand. If you can offer your help please contact Steve Healy on 07821 085700 or myself on 07741 201052. The photo disk for Cadet Week 2015 is now available. We have to thank the following for supplying in total over 2,500 pictures of the excellent week. Annie Stapleton, Margaret Kennedy, Amy Duce (from OnCrowd), Vicky Casson, David Eikington, Claire Morgan and Jenny Epps. If you have prepaid you can collect the disk from the bar. If you think you forgot to originally register then a disk can be yours for £10. Hosted by BrixhamYC sailing in Torbay, with a 10 race championship over 4 days, saw a dry and sunny light wind and less event, in which Nic and his helm Rob Larke posted no less than 4 bullets, supported by 2 seconds. They took the title in an extremely competitive fleet where the top 10 boats included 6 previous Hornet national champions. Gary & Tracey also put in a valiant effort with some close racing running all through the fleet, but finished ‘also rans’, enjoying the company much more than the mainly non trapezing conditions. 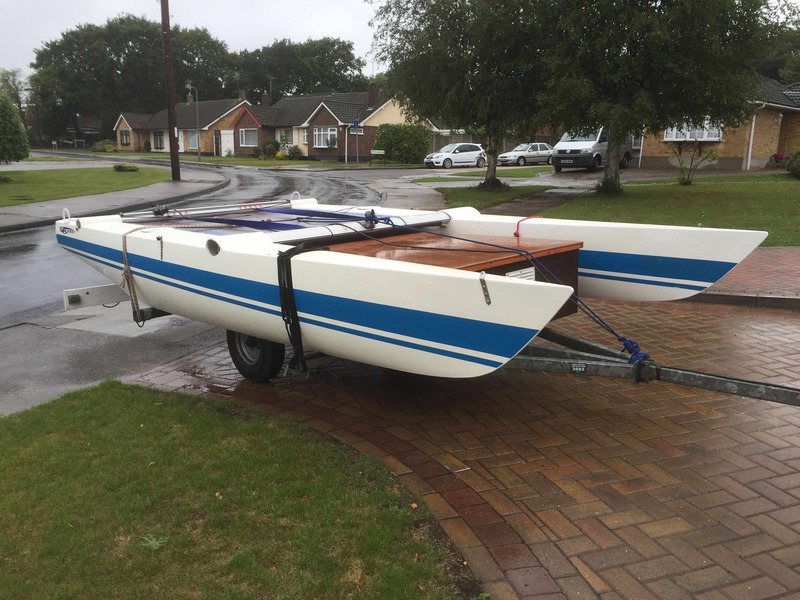 What a timely advert for the Hornet open meeting to be held at TBYC on 26/27 September 2015, for which a Hornet Association owned boat is currently available to be used, by prior arrangement, by any wanna have a go Horneteers. Congratulations Nic, and yet another TBYC National Champion to add to the TBYC honours board! On Sunday there is the Pico Mini Series and the Benfleet Shield / TBYC Bank Holiday Mini Series. As most of our Cadet will want to compete in one of these, we will not run the New Cadet Racing. Sprint 15 – No. 1643. It has just arrived back from having a full hull refurbishment by Steve Sawford at SS Marine at a cost of £385. The boat is therefore, in brilliant condition and ready to sail. It comes complete with a launching trolley, excellent road trailer and box, rigging for single and double handed racing with trapeze, mast, sails, good cover etc.